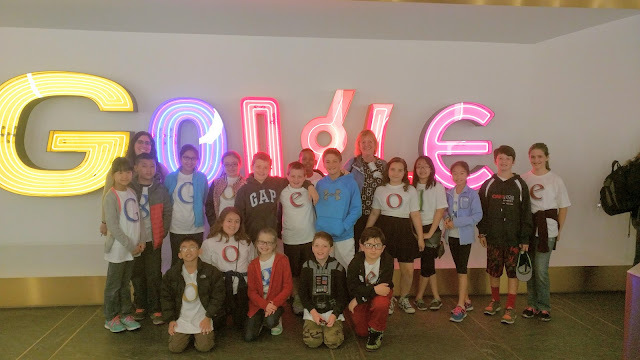 Today, Cottle's 5B class had the opportunity to tour Google NYC, showcase their CS-First projects, and visit the YouTube Studio. This experience allowed the students into the daily lives of a Googler. While showcasing projects, Kevin Fields (our Google Liaison), said that the students' projects were good enough to even be in the Google Play Store. The students were so proud and through the tour and Q+A session, they really started to understand what it meant to be "Googly".